Sheriff Walt Longmire and Henry Standing Bear embark on their latest adventure in this novella set in the world of Craig Johnson's New York Times bestselling Longmire series-the basis for the hit drama Longmire, now on Netflix. When Wyoming highway patrolman Rosey Wayman is transferred to the beautiful and imposing landscape of the Wind River Canyon, an area the troopers refer to as no-man's-land because of the lack of radio communication, she starts receiving "officer needs assistance" calls. The problem? They're coming from Bobby Womack, a legendary Arapaho patrolman who met a fiery death in the canyon almost a half-century ago. 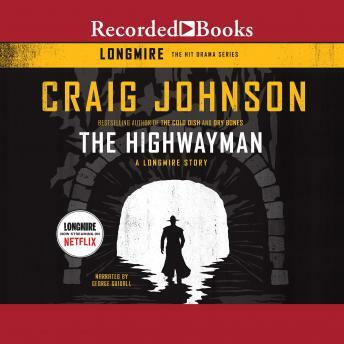 With an investigation that spans this world and the next, Sheriff Walt Longmire and Henry Standing Bear take on a case that pits them against a legend: The Highwayman.